A charger for every garage! 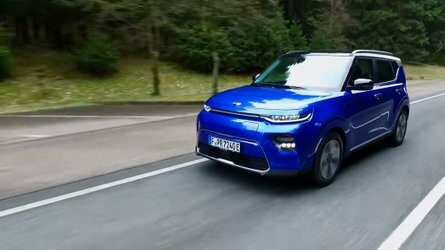 So, you've bought your first electric car. Congratulations! 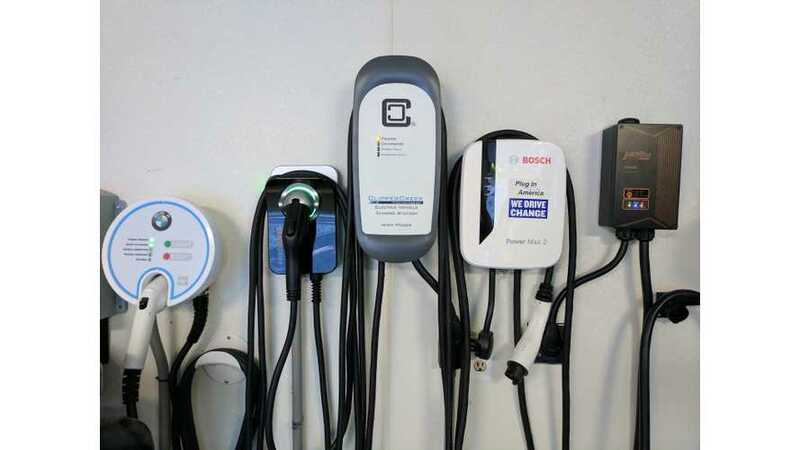 This means you'll probably also want to buy a home charging station, commonly referred to as an EVSE (electric vehicle supply equipment), in order to fill your vehicle's battery from the comfort of your garage. There are a couple main types to choose from: wall-mounted and portable. While it's great to have a portable EVSE, and most electric cars comes with one, we recommend the former so you can take full advantage of your car's on-board AC charger and considerably reduce charging times. 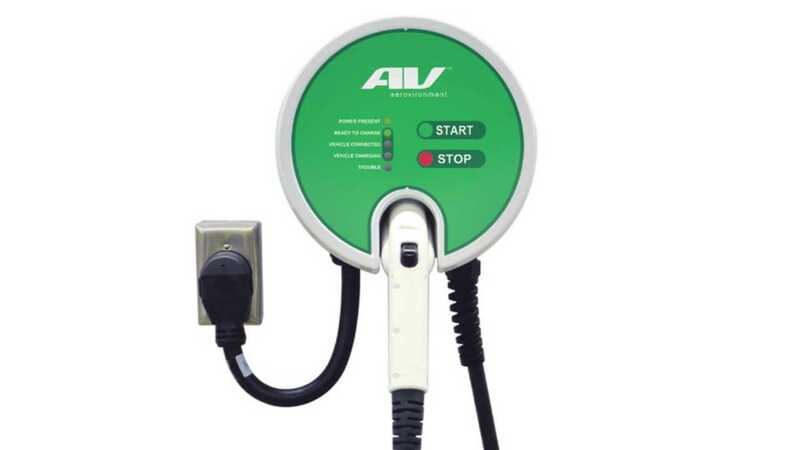 Wall-mounted EVSE can either be hard-wired or plug into an outlet, so if you already have a outlet on a 220-volt circuit in a suitable location, you may be able to save on the cost of an electrician. As a side note, if you are going the plug-in route, it's important to make sure the your intended outlet and EVSE plug are compatible. Wall-mounted chargers also have distinct advantages aside from speed. They usually have more features (such as Wi-Fi connectivity), typically offer some sort of cord management, and can increase the value of your home. 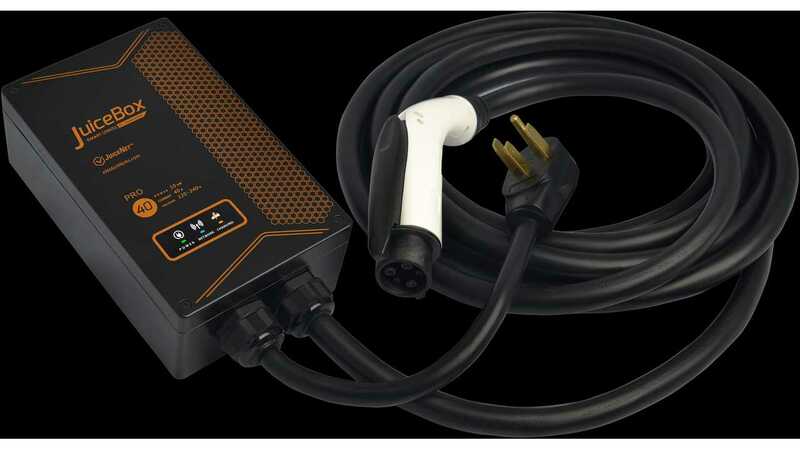 With the onset of an electric vehicle revolution, the number of companies offering an EVSE has greatly increased, so we've waded into the marketplace and chosen a few we'd buy for our own garages. From humble beginnings, eMotorWerks has become one of the most popular EVSE manufacturers, due to its competitive pricing and features. The company was recently bought by Italian manufacturer and electricity supplier Enel. We especially like the JuiceBox Pro 40 model with WiFi. As the name suggests, it's rated for 40 amps and can supply up to 10 kW, more than enough for most of today's electric vehicles. Many of its functions can be controlled using the company's JuiceNet app. This unit comes ready to plug in (there is also a hardwired version available). It can be plugged into a "dryer," RV-type, or regular wall outlet with available adapters. It is currently priced at $579.00 with free shipping. 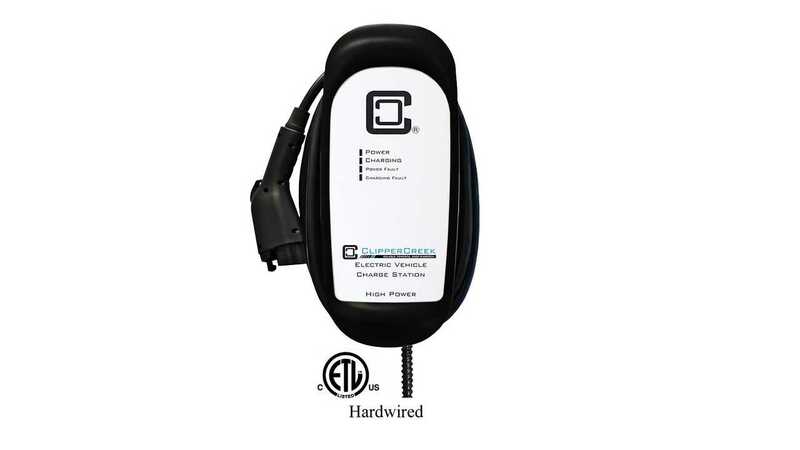 Established in 2006, Clipper Creek products have long been a solid choice for electric vehicle owners. It's reputation was burnished early on when Tesla chose it as its charger of choice for its first model: the Roadster. Although they have a number of different models, we would choose the HCS-40. This 32-amp unit will allow for 7.7 kW of energy, which is just enough juice for most electric vehicles sold today. The Chevy Bolt, for example, features a 7.2 kW onboard charger. It comes with a 25-foot cord and a wall holster for the J1772 connecter, for when it's not in use. The hard-wired version is priced at $565, while the plug-in type (HCS-40P) — for either NEMA 14-50 or NEMA 6-50 outlets — is $589. ChargePoint is a name well known to many electric vehicle drivers, as they operate the largest public charging network in the US. They also offer a smart EVSE solution for private residences. 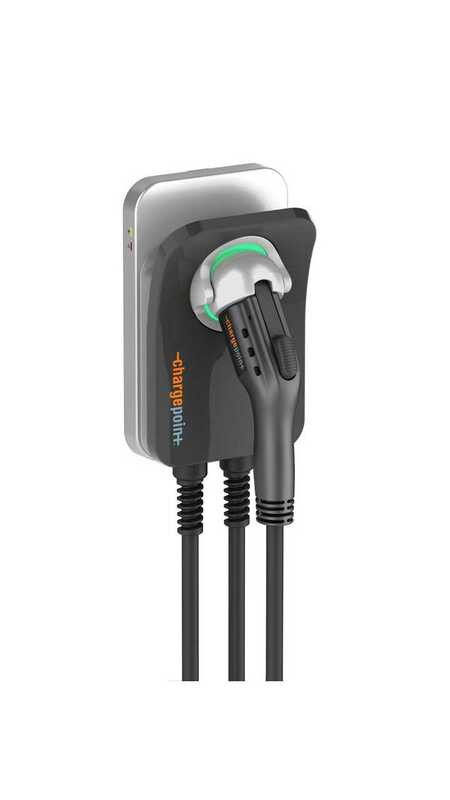 ChargePoint Home is a 32-amp EVSE that offers up to 7.7 kW of energy, which is enough for most modern EVs. Self updating over WiFi, it can be used with Nest as well as with a mobile app to set charging times or check your car's charge status, among other things. Available in several configurations — plug-in or hardwired, 18-foot or 25-foot cord — ChargePoint Home runs between $519 and $599. AeroVironment is the granddaddy of electric vehicle companies, having been in business over 30 years and involved in such early efforts as the GM's breakthrough solar-powered Sunraycer. They build commercial chargers as well as branded home EVSE for several different automakers. For most owners, its EVSE-RS is a solid 32-amp performer. Available in either hard-wired or plug-in formats with a 25-foot charging cord, they are priced on its EV Solutions website starting at $549. Not only does industrial giant Siemens make electric motors and other components for electric vehicles, it also offers the most affordable EVSE option on our list. The 32-amp Siemens VersiCharge comes with a weatherproof enclosure comes with a 20ft cable and plugs into a NEMA 6-50 outlet. Though it is offered at both Lowes and Home Depot stores, Amazon has the best deal currently at $459.99. 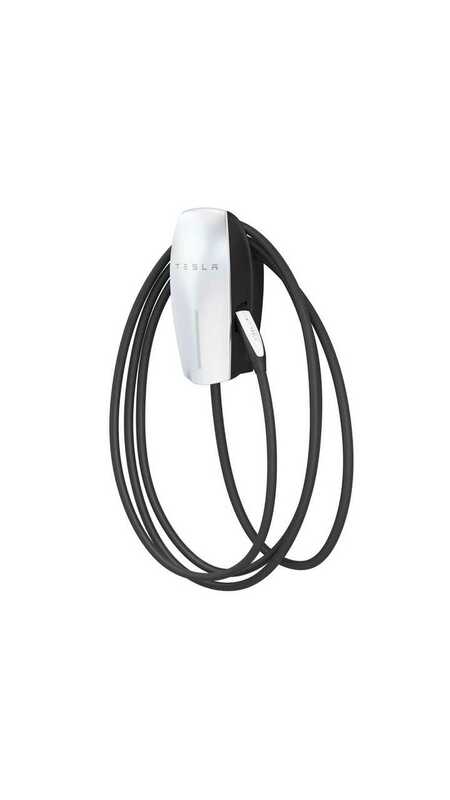 While the chargers listed above are compatible with every EV on the road today, if you want to charge a Tesla product with one, you will need an adapter — available on the Tesla website for $95 — to attach the J1772 plug to your Model S, E, or X. Alternatively, if you are a Tesla owner, the California automaker offers the very attractive Wall Connector in a wide variety of power levels and plug/hard-wire configurations starting at $500. While we have listed a half dozen of our favorites, there are many other models out there, some of which might be more suited to your particular application. There are even some variants of the ones listed above that offer more features, ruggedized enclosures, and higher powers. As well, many manufacturers offer a number of different accessories, such as mounting posts for outside installations. Of course, if you ever have any questions about home charging stations (or any EV-related issue, really), you can get answers on the community on the InsideEVs Forum.